Don’t miss the “Toy a day giveaway” at Mattel! 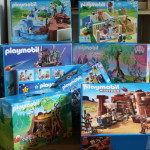 You could win some of the hottest 2012 toys and a 500$ value shopping spree. Everyday a different toy will be offered. No purchase necessary. See Mattel Shop for all details. Good luck!